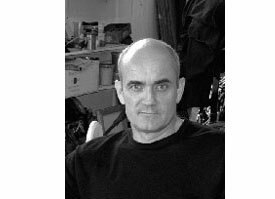 Hugh ODonnell has been Professor of Painting at the School for the Arts CFA since 1996. He is an internationally recognized artist exhibiting regularly since 1975 with one-person and group shows. Public venues have included: Solomon R. Guggenheim Museum, NY; The Metropolitan Museum, NY; The Museum of Modern Art, NY; Addison Gallery of American Art, Andover MA; Aldrich Museum of Contemporary Arts, Connecticut; Museum of Contemporary Art, San Diego; Polk Museum of Art, Florida; Rose Art Museum Massachusetts;, The National Gallery of Australia,, Virginia Museum of Fine Arts The Royal Academy, London; The Walker Art Gallery, Minneapolis; The Museum of modern Art, Kyoto, Japan; XLII Venice Biennale, Italy; Hirshhorn Museum, Washington DC; IV Medellin Biennal, Colombia. Exhibitions of work have been extensively reviewed internationally in publications including Art News, The New York Times, Art in America, Modern Painters, and Time magazine. Data Command and Farsight, two large-scale site-specific mural digital artworks for the SEDD division Army Research Laboratory, Adelphi, MD, January 2002. First Light, an illuminated digital mural print installation, commissioned by the Photonics Center, Boston University, 1998. Speaking To the Earth, site-specific digital print mural commissioned by Deloitte & Touche, for the Paramount Plaza building global office New York 2004. To Tell the Crooked Rose, painting for AOL Time Warner building New York 2004.